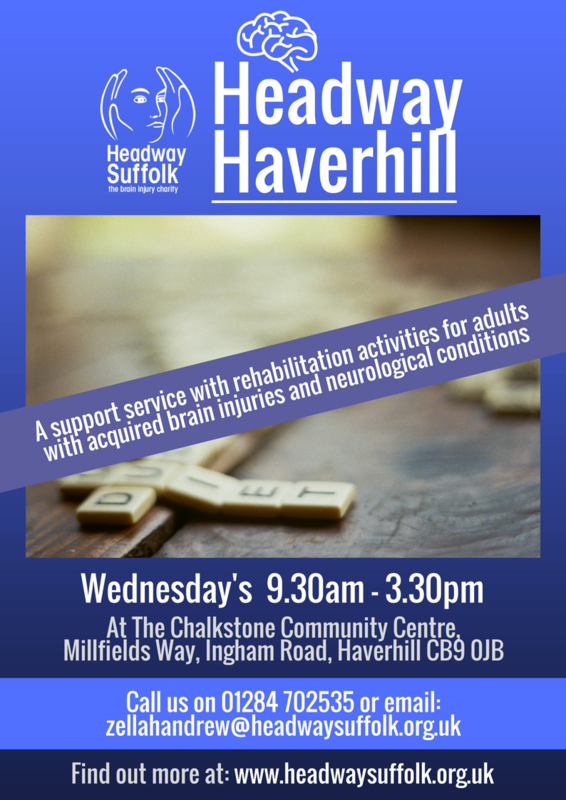 Headway Suffolk operates a satellite hub service at the Chalkstone Centre in Ingham Road, Haverhill. The hub is open on Wednesday’s from 9.30am – 3.30pm. It is set in a supportive social environment and clients are encouraged to develop skills and improve cognitive abilities through rehabilitation activities. Morning sessions (10.30–12.30), Afternoon sessions (1.30-3.30). For more information, contact Zellah Andrew on 01284 702535 or email: zellahandrew@headwaysuffolk.org.uk.